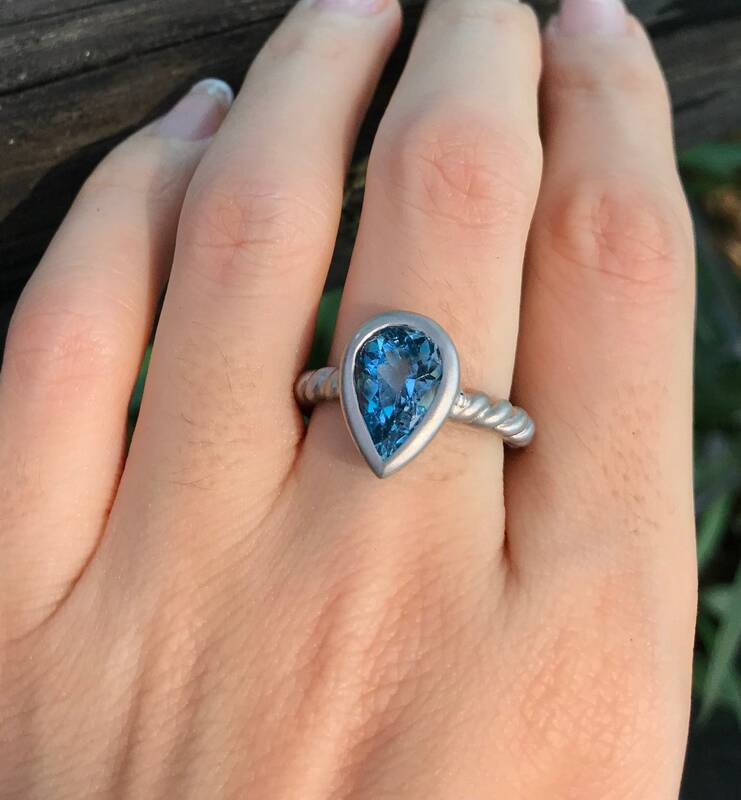 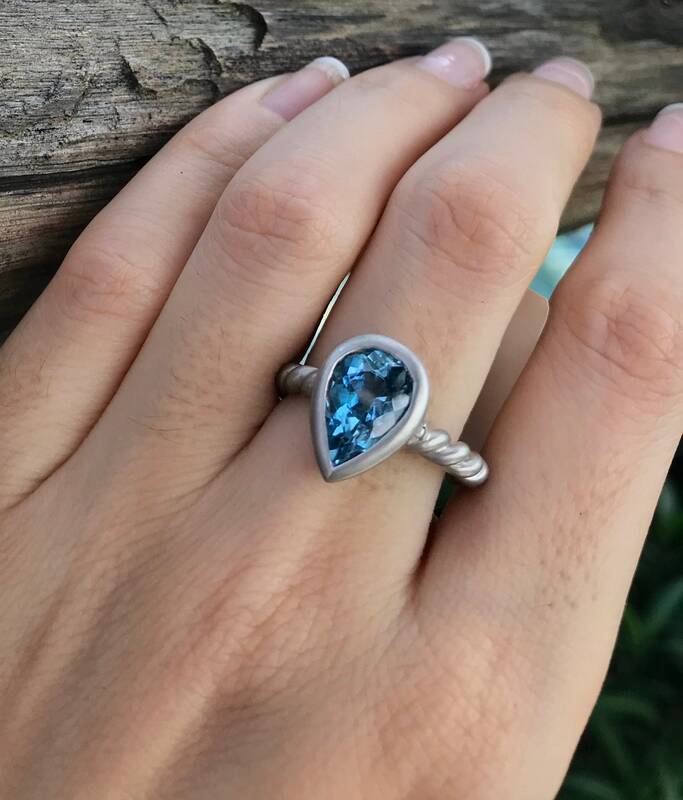 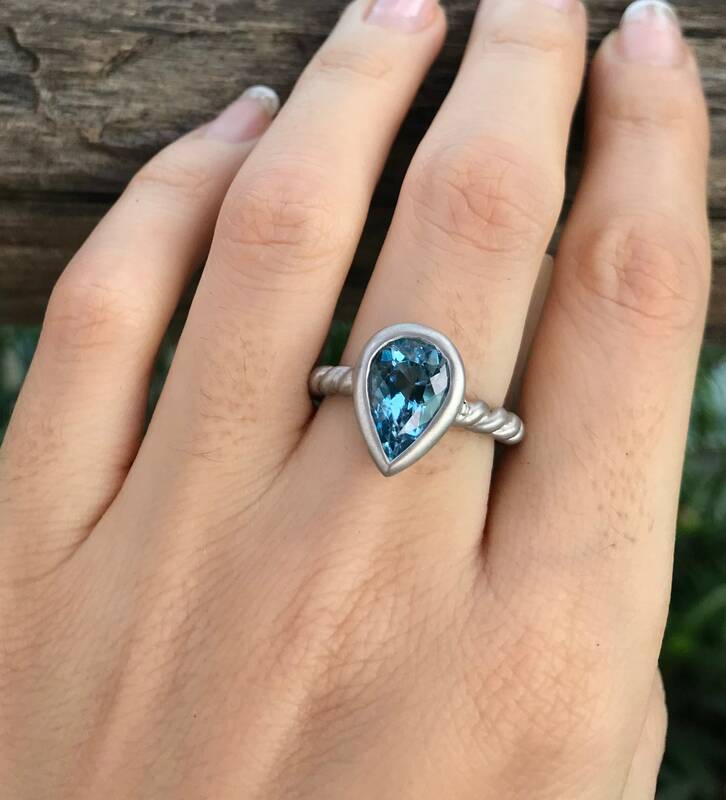 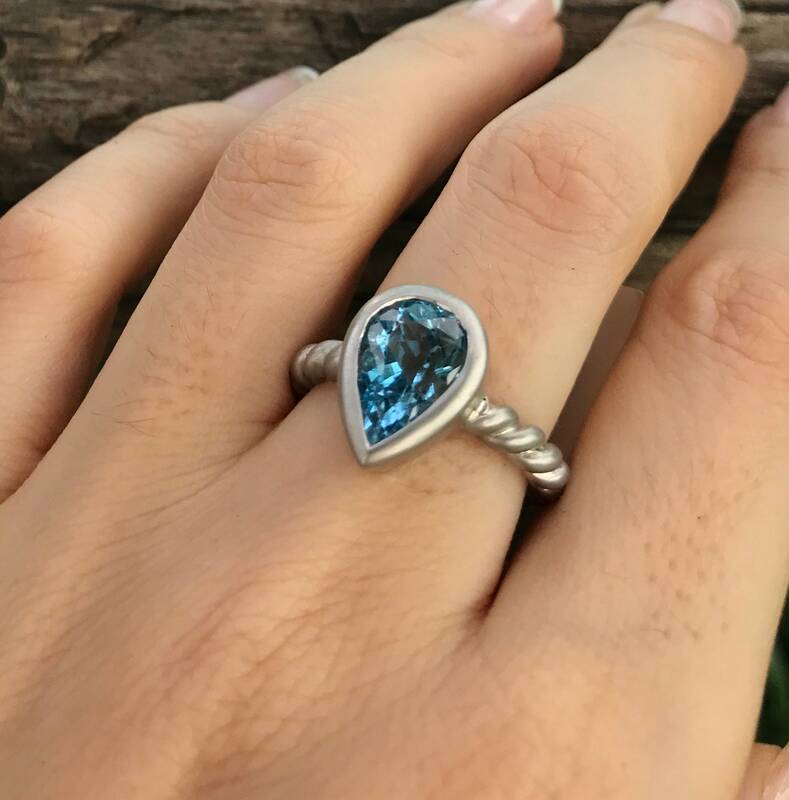 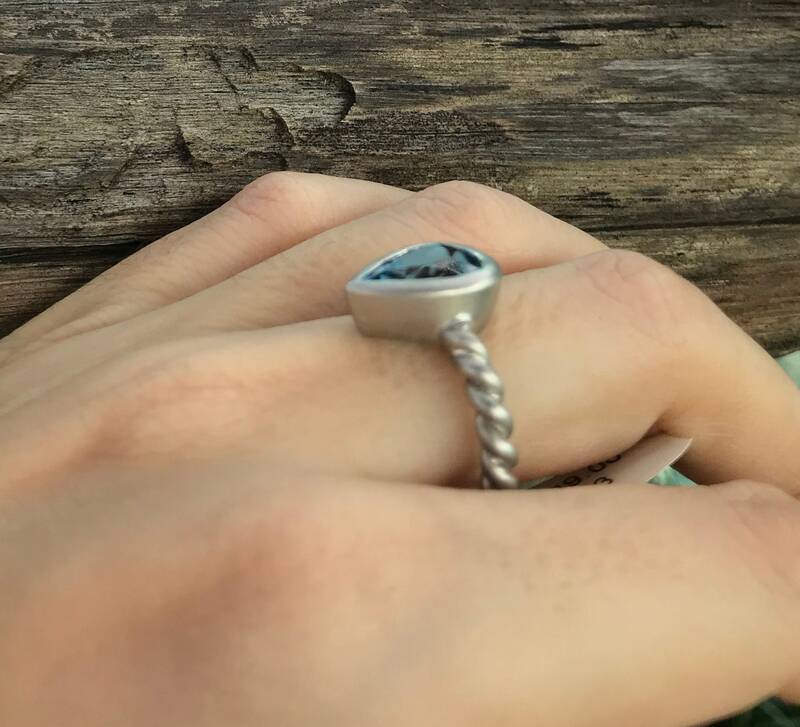 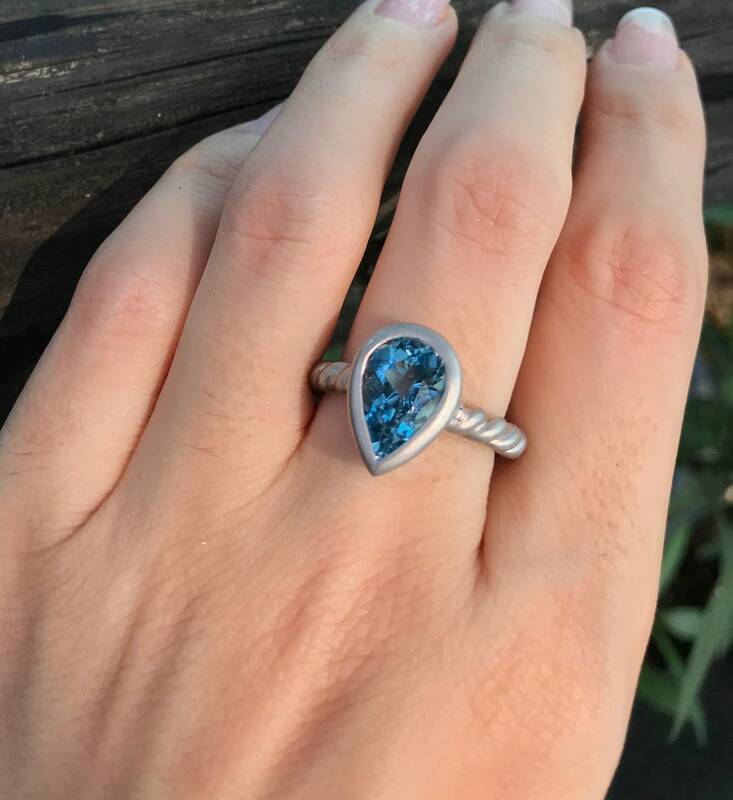 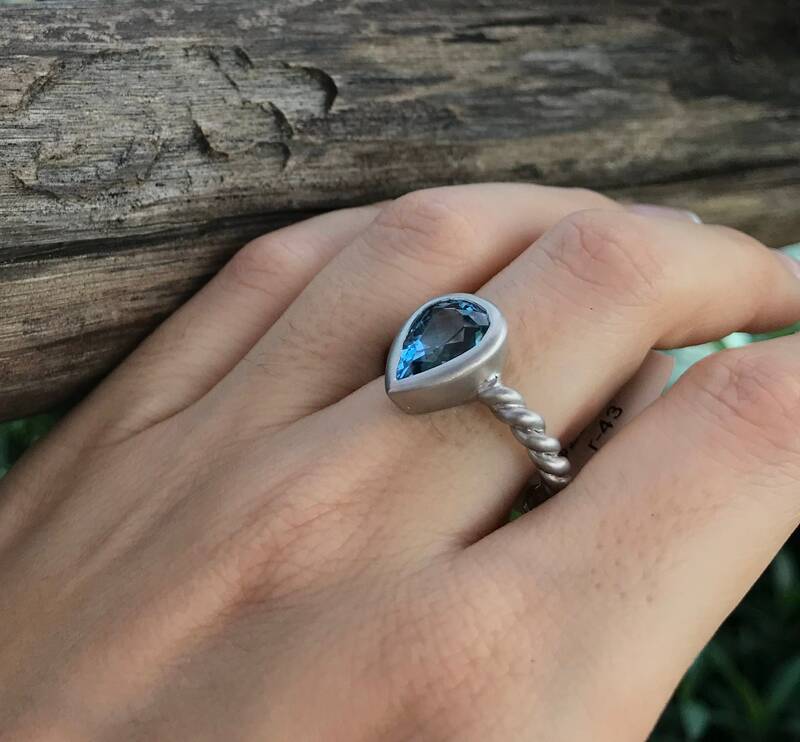 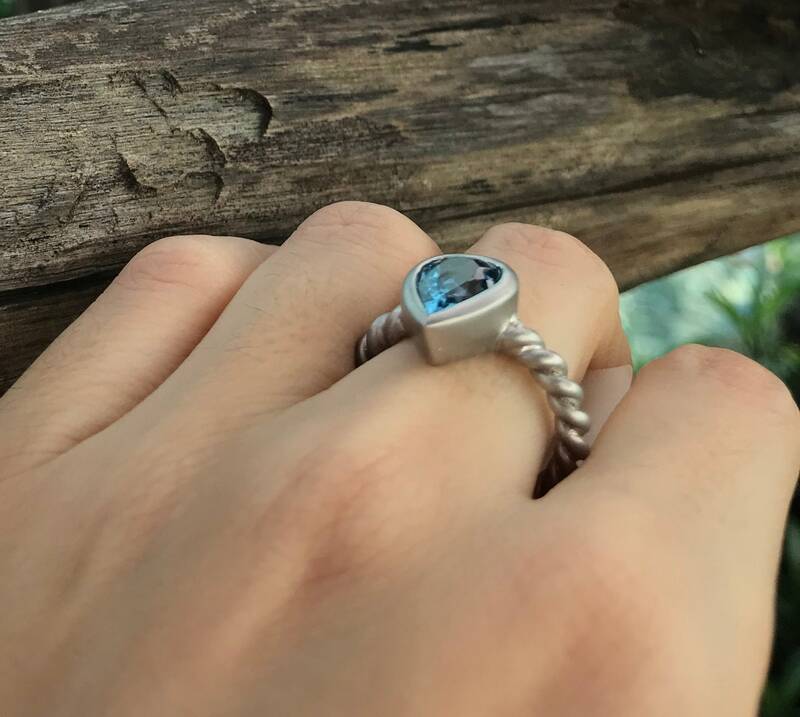 A stunning Pear-Shape flawless Swiss Blue Topaz, mined from Brazil with an amazing cut, handcrafted in a Silver matte finish is bezel set with an open shank allowing light to pass through the stone making it Super Sparkly! 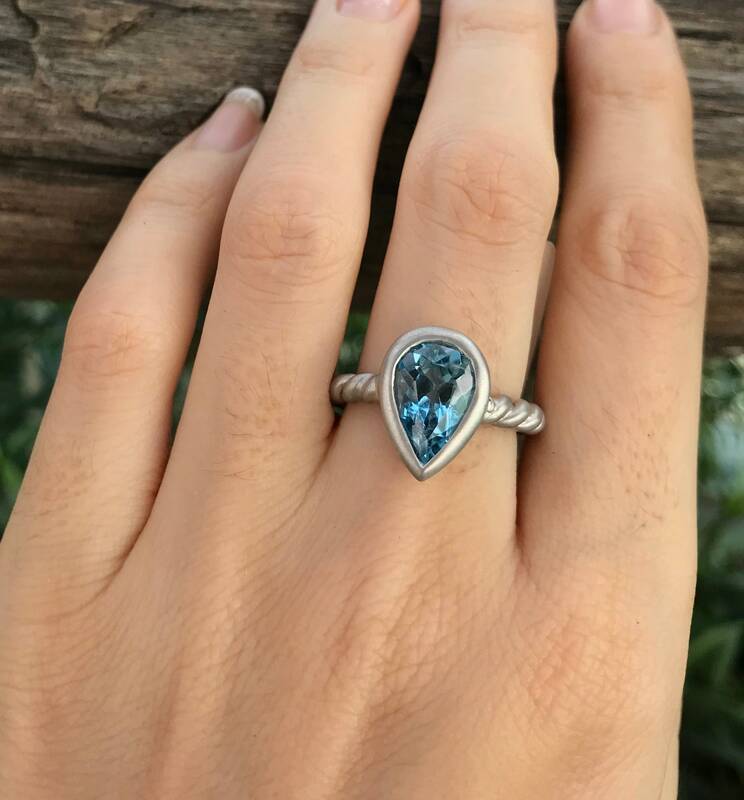 Blue Topaz is December birthstone. 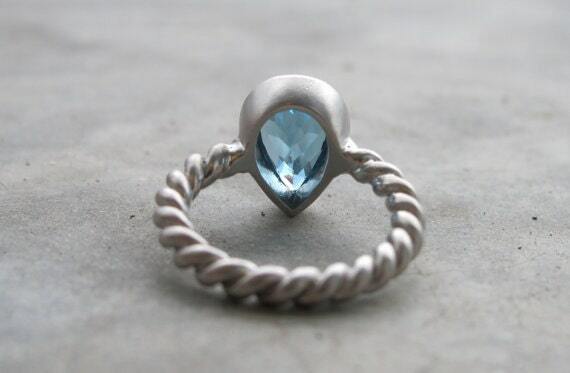 Can be customized in other stones, metal, design, etc..